1) Compare Apples to Apples - If you get several bids from different contractors make sure they are based on the same specifications and the same equipment. Be exact on your specifications to make sure you are comparing identical systems. Make sure that you have considered everything including warrantees and other appropriate considerations found below before making a decision. Remember also that unlike a new car an air conditioning system has to be built by the contractor and even the best equipment is no good if improperly installed. 2) Require Proper Permits - Make sure your heating or air conditioning contractor gets all the required permits for your area. Permits were designed to protect the consumer from fraudulent contractors and inferior or dangerous work. If you live in a city where a permit is legally required and the contractor does not get one you may be required to redo the job even if done correctly and may have trouble insuring, refinancing, or selling your home. 3) Get Specific on Warrantees - Find out what kind of warranties are included in the bid. Get both the manufacturer's and the contractor's warranties on the equipment and installation in writing. The manufacturer's warranty should state the how long your unit is covered and which of the specific components are included in the warrantee. Most dealer warranties only cover the cost of the parts. Ask what kind of warranty the contractor offers on labor. Most reputable contractors will warranty one year on the labor from the date of installation. 4) Get a Proper Load Calculation - Make sure our contractor runs a proper load calculation for the job. A reputable heating and air conditioning contractor will come to your home or job site to make an inspection before any bid is made. 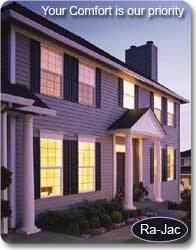 This requires measuring every room to be conditioned and checking windows, doors and attic insulation. A proper load calculation should be done using computer software or professional guidelines like the Air Conditioning Contractors of America's Manual J. The contractor should spend a half hour or more measuring ceilings, windows, floors, and walls, and checking the insulation or R value of the home. 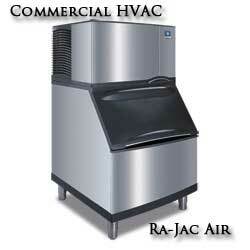 Equipment that is oversized will not provide proper humidity control, and will cost more to operate. Equipment that is undersized will not be able to provide sufficient comfort and will run more, which means higher energy bills and a shorter life span. Duct and register size should also be based on this load calculation for proper operation. No matter how experienced a contractor is they cannot do this in their heads they need proper measurements and a proper load calculation. 5) Don't Accept Phone Estimates - Beware of companies that offer to give you an estimate over the phone without ever looking at the jobsite. You want an air conditioning or heating technician not a psychic. Beware of companies that quote a price over the phone and then charge you more once the job begins. 6) Find Out What Brands they Sell and Service - When you call a service company ask what type of systems the company can service to make sure they work on your brand. Also ask what type of systems they carry and choose a contactor that sells a brand you have heard of such as Carrier, etc. A contractor who carries a brand you have never heard of may not be as reputable and will not be able to offer you quality equipment. 7) Ask About their License - If you are calling for installation make sure the company has the appropriate license and their personal are trained to work on this particular type of equipment. 9) Consider buying high efficiency equipment - A reputable contractor may be able to offer you multiple bids with a choice of equipment and advise you on which system they believe is best for you. 10) Get a Written Estimate - Always get a written estimate or proposal which lists the equipment, the service to be provided, the warrantee, terms of payment, and the price, including labor costs, permits and appropriate taxes. Remember to get copies of everything that you sign including the amount and method of payment. When full payment is made get written proof of final payment. 11) Get a Secondary Drain Pan - On horizontal air conditioning installations any bid should include an emergency or secondary drain pan. If it is above a ceiling or area it could be damaged by water overflow. If the main drain system becomes clogged then the emergency pan will help reduce the potential for water damage. 12) Ask How the System will be Sealed - A professionally installed cooling and heating system should be properly sealed to prevent any air leaks. Sealing the system costs more in time and in materials, but it can save you a lot of money in the long run. Call us at (409) 945-4171 for service in the following Areas - If you are in the Algoa, Arcadia, Bacliff, Bayou Vista, Clear Lake City, Clear Lake Shores, Dickinson, El Lago, Friendswood, Galveston, Hitchcock, Kemah, La Marque, League City, Nasa Area, Nassau Bay, San Leon, Santa Fe, Seabrook, Taylor Lake Village, Texas City, Tiki Island, or the Webster Texas areas and want a professional to maintain your air conditioning, heating or air cleaning and filtration system contact us at (409) 945-4171. We provide top notch service to keep your home and office air conditioner and heater working efficiently and effectively. Your comfort is our top priority.